Welcome to Fernwood Acres in Mt. Washington! This beautiful home is move ready for you to enjoy! This all brick 4 bedroom, 3.5 bathroom has homed a family for the past 12 years and is ready for its new owners. This home features hardwood floors throughout the main floor, fresh new paint throughout the entire house, vaulted ceilings in the Family room, a formal dining, spacious kitchen and eat in kitchen area. The spacious, first floor Master bedroom has just been repainted and brand-new carpet installed and fresh paint in the master bathroom - including a soaking tub and free-standing shower! Upstairs you will find 3 bedrooms and a full bathroom with fresh paint throughout. Head to the basement with a Family room, gaming area, storage closets and a workout area - plus a full bathroom!Many updates have been added to the home throughout the years including a Radon Mitigation system (2017), a Water Powered back up Sump Pump System (2013) (this is a backup to the original sump pump system, both functioning) and a tune up on the HVAC system last year. Enjoy a nice summer night in the fully, privacy fenced back yard. 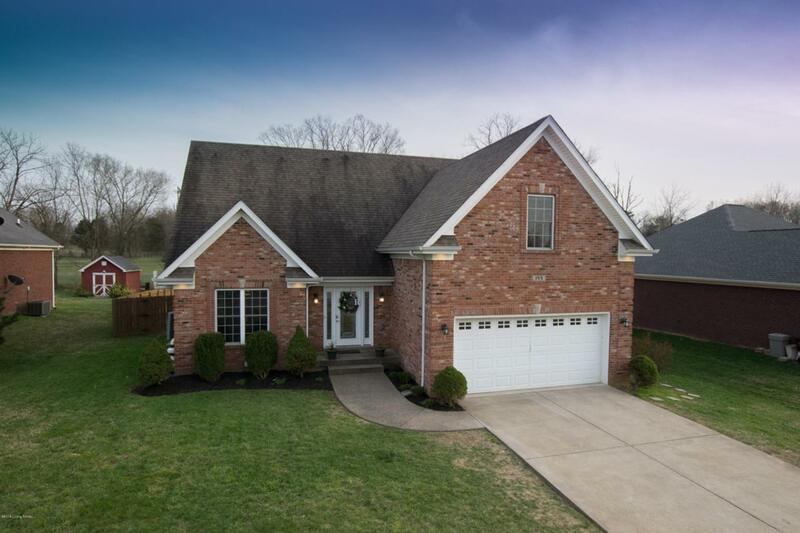 Also, this home is in Bullitt County school system: Pleasant Grove Elementary, Eastside Middle, and Bullitt East High School! There are too many features to list, just come out and see this home for yourself!